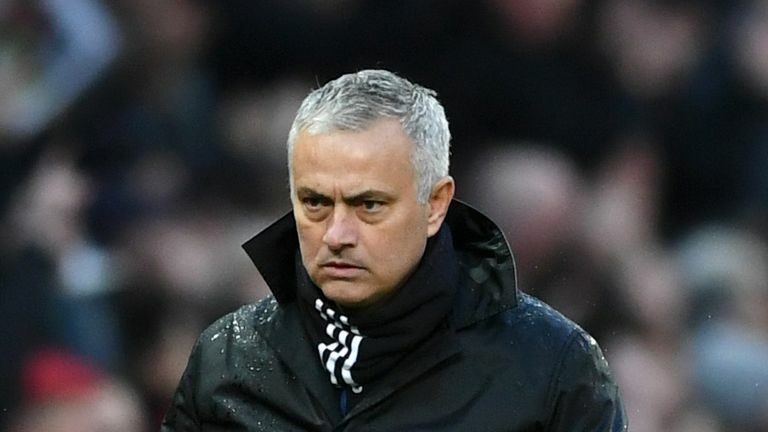 Manchester United manager Jose Mourinho insists he loves management more than ever, because it is more difficult than ever. Mourinho's United are 16 points behind Liverpool going into their Super Sunday clash, having finished second in the Premier League last season. 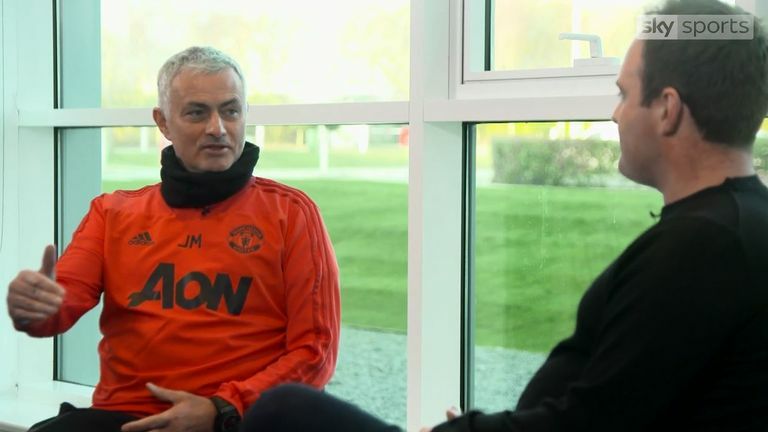 Pressure has been on Mourinho this season, with his critics insisting his style of management no longer works, but in an exclusive interview with Soccer AM's Tubes, Mourinho is adamant he still loves the job. Get Sky Sports to see Liverpool take on Man Utd this weekend. Find out more here. Asked if he still loves being a football manager, Mourinho told Tubes: "Yes, more than ever. Because it is more difficult than ever." Commenting on United's start to the season, he added: "[It has not gone] as good as we thought. But I predicted in the summer that the season was going to be very difficult for us. United are in danger of falling out of touch with the top four as they head to Anfield, live on Sky Sports Premier League at 4pm on Super Sunday. But Mourinho does not dread going to Liverpool, despite their unbeaten Premier League run this season, instead insisting he loves the atmosphere. "I enjoy. I always say I enjoy these places. Liverpool is a place where I had difficult times, but also amazing times and amazing victories. "I love to go there, and totally respect that warm support from the fans to their team, and I like the feeling of the big matches. I was always saying I prefer these matches." Mourinho also added he would not label this Liverpool side under Klopp the best he has faced, after some famous battles with the Reds in the mid-2000s, particularly against their Champions League-winning side of 2005. "I played against a Liverpool that was European champion. I don't know if it was better or not better; I know the other team was European champion and that this team won nothing. So I think I have to respect the ones that did it, and I have to respect the ambition of the ones that didn't. "In the end it is about respect, but I would expect maybe Rafa [Benitez], [Jamie] Carragher, Steven Gerrard, would expect them not to be happy with me if I said this team is better than that team! That team was European champion." Asked which other Premier League managers Mourinho has been impressed with the most, the United boss stopped short of naming Jurgen Klopp and Pep Guardiola, instead focusing on those in mid-table exceeding expectations at their clubs. "I think everybody is trying hard to do their jobs in relation to their objectives and potential of their teams. Normally people look to the top part of the table, I like to look at the medium and whole part of the table. You can be a champion without being champion."